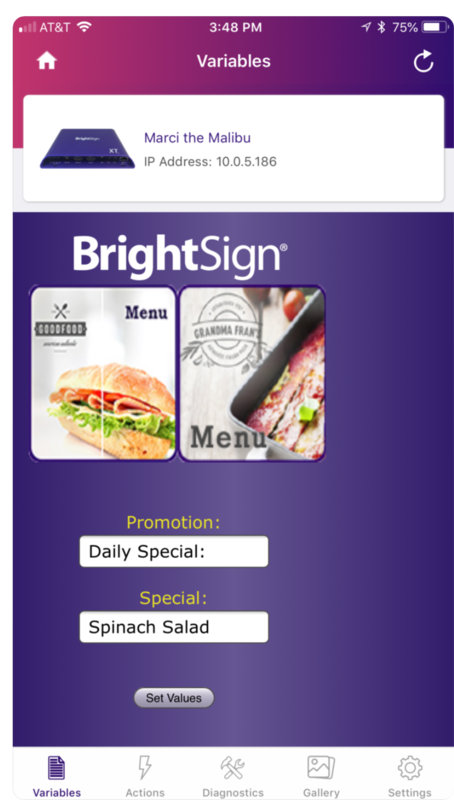 The BrightSign App allows you to easily interact with locally networked signage using your iPad, iPhone or Android device. This app is perfect for menu board updates, retail installations, emergency messaging, and more. This free app offers a simple interface on your Android or iOS device to select any BrightSign player connected to a local network, and then change user variables for the current presentation or trigger presentation events and transitions. Compatible with BrightAuthor v4.x or later.